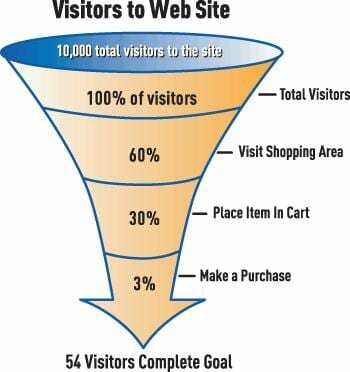 The conversion funnel has been the holy grail of many Digital marketers till date, wherein usually about 3- 7% of the total visitors to the site actually convert, leading to the question what happens to the remaining 90+ %? The reasons for the drop outs attributed are either as bounces, dropouts, casual window shoppers, price checkers or just about anybody else who was never interested in your product. It is in somewhere in this 90+ % visitors that brings to light the concept of “invisible customers”. Who is this Invisible customer? They are someone who could have been your customer, had you engaged with them at the right time. What do the invisible customers do? Value: Each of these visitors are seeking more than just your products or services, they are looking at solutions that eliminate pain points in their life. Comparison: In the pursuit to seek value, most invisible customers are constantly comparing and benchmarking your products/ services with the other choices that they may have. The comparison is with regard to value features, prices, return policy, customer reviews, delivery time etc. Trust: The trust factor arises in the minds of customer because of the unknown elements that might follow a transaction. Needless to say a visitor chooses to be invisible till the time their experience on site satisfies the above variables. The invisible customers often have very simple and human needs, very similar to a visitor who walks into a physical store. They need to speak or talk or engage with someone while they are in their shopping or discovery process. Their need to engage could be as simple as answering a question, helps in finding a right product, an Opinion about the product, a recommendation or a simple support or guidance through the payment process. It is this lack of engagement on site that makes them behave as invisible because the visitors do not find anybody to engage with. Knowing the visitor & preferences: A website also needs to remember the visitor behaviour, activities and interest levels for a product/ service. Imagine an online grocery store that predicts what you are looking for, based on your previous visit and provides relevant information, so that you can find it easier. Helping in choosing the Right Product: Imagine a fashion expert in an online apparel store, who comes in to help you when you are seemingly perplexed about the choices of dresses. Product/ Brand Recommendations: Imagine a site where an expert tells you the difference between various products/ brands and help you make the right choices, which meet your requirements or needs. Immediate Query Resolution: Imagine someone answering your question, the moment you had a doubt about a particular product, so that you can add the product to the cart without worries. Personalized offers: Imagine a website that provides you personalized offers based on the products you are looking for rather than forcing you to choose across the board discount/ offers. Real time Help: Imagine a website whose customer support proactively helps you with your check out process knowing that you are first time user, even before you ask for it. Engagement: Imagine a site that takes efforts in knowing your interests, preferences and needs on a periodic basis and utilizes this info to personalize when you are on site. Content Relevancy: Imagine the site that sends you mailers with offers for only the products you are interested in, with exactly the news content that interests you at a time when that is closer to your consumption cycle. Similarly there can be many more engagements that can be used to deliver a human experience that every visitor longs for. Interactions and experiences like this not only deliver value but create a distinct relationship and associations leading to better conversions, loyalty and happy shopping experiences. Intent Segmentation: It is important to segment the anonymous visitors based on intent, One can create points based scoring system that associates scores to anonymous users basis parameters like visit source, time spent, frequency, pages visited, page depth, events etc. This type of scoring helps in identifying user intent that can be used for segmentation and targeting to enable personalized messaging and communication in real time. Form based engagements: Can be used for lead capture, Reviews, feedback generation, survey questionnaires or even asking a simple yes / no questions. Engagement Automation: Real time engagement automations require individual user behaviour parameters, which can be used as triggers to push customized & engaging content to users. Once the unified data driven view of customer is enabled, engagements and personalization’s can be triggered to users in real time. Such engagements & personalization’s go a long way in creating great user experience. It is this customer experience that drives not just the conversions but also enables high ROI on retention, loyalty and transaction value, which in turn goes a long way in effectively managing the customer life cycle value. Also Read Should AI Be Allowed To Get Patents? How Can Indian Companies Protect Their Inventions?